With a two-vote margin, Lewis Ncube was re-elected as president of the African Chess Confederation (ACC) at the FIDE congress last month. 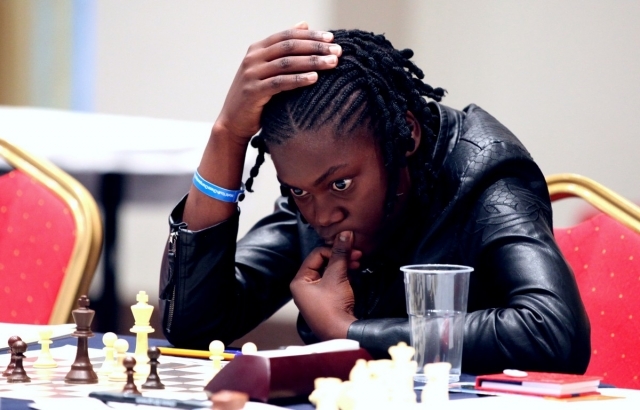 Our correspondent Alessandro Parodi explains what it means for chess in Africa. 60 Seconds with…Erik Kislik – Have you seen before Erik’s favourite game, Gusev-Auerbach? The post CHESS Magazine – November 2018: Arkady Dvorkovich: The New Face of FIDE appeared first on Chess.co.uk. With only a two-vote margin, Lewis Ncube was re-elected as president of the African Chess Confederation (ACC) at the FIDE Congress last month. 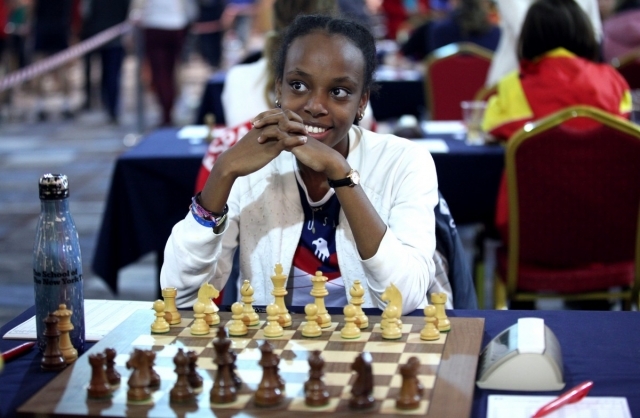 Our correspondent Alessandro Parodi explains what it means for chess in Africa. 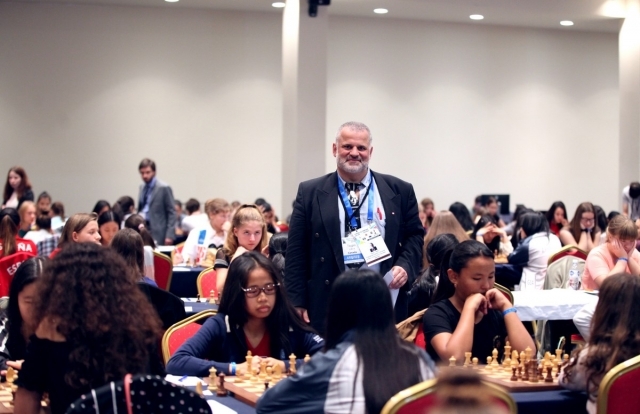 The decisive eleventh round of the World Youth Chess Championships (Open and Girls U-14, U-16, U-18) took place on October 30. The championships were held n Porto Carras, Greece on October 19-30, 2018. 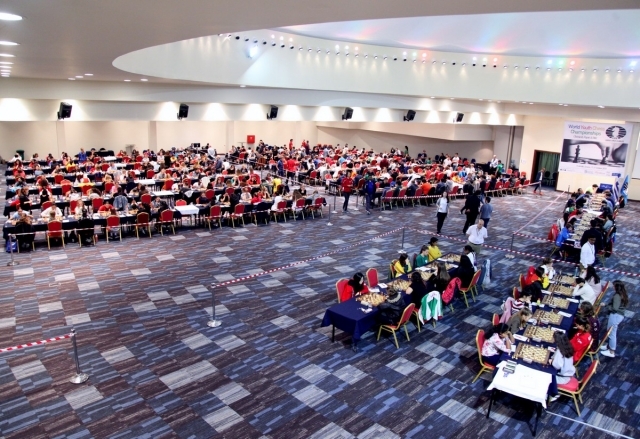 A record number of 626 players from 78 federations participated in this tournament. Polina Shuvalova from Russia earned the world champion title in Girls U-18 one round before the end. She already has 9/10 and her nearest pursuer Teodora Injac is 1.5 points behind. Seven players share the third place with 7/10. In the U-16 Girls category, Jovana Srdanovic from Serbia who stayed in the lead for several rounds lost to Mariia Berdnyk from Ukraine. Three players: Berdnyk, Annmarie Muetsch from Germany and Honorata Kucharska from Poland caught up with Srdanovic. In the Girls U-14 category, Ning Kaiyu from China is leading the race with 9/10. Her nearest pursuers are Song Yuxin from China with 8/10 and Divya Deshmukh from India with 7.5/10. With one round left, there are three leaders in the U-18 Open tournament. Viktor Gazik from Slovakia, Igor Janik and Szymon Gumularz (both from Poland) have 7.5/10. Seven players have scored 7 points; the fate of the medals will be decided in the last round. In the U-16 Open event, Shant Sargsyan from Armenia is the sole leader with 8.5 points. He has secured at least a bronze medal as his two nearest rivals Viktor Matviishin from Ukraine and Nodirbek Yakubboev have 8 and 7.5 points correspondingly. Seven players have 7/10. In the U-14 Open category, the sole leader Pedro Antonio Gines Esteo from Spain was outplayed by Rithvik Raja from India, so Nikolozi Kacharava from Georgia joined Gines Esteo in the lead with a win over Renjie Huang from China. Two players, Rithvik Raja from India and Alexander Krastev from Germany, are half a point behind them. Everything will be decided in the eleventh round that will start at 10 am on October 30. There were no changes at the top in the U1-14 Open category. Pedro Antonio Gines Esteo from Spain drew with Nikolozi Kacharava from Georgia and remains the sole leader with 8/9. Kacharava and Huang Renjie from China are one point behind him. Shant Sargsyan from Armenia defeated Abdimalik Abdisalimov from Uzbekistan and retained the sole lead with 7.5/9 in the U-16 Open category. Viktor Matviishen from Ukraine outplayed Jakub Kosakowski and moved to the second place with 7/9. Seven players share the third place with 6.5/9. In the U-18 Open category, Viktor Gazik from Slovakia made a draw with Alexandr Triapishko from Russia. Gazik is joined at the top by Szymon Gumularz from Poland, who defeated Luca Moroni from Italy. Both leaders have 7/9, while eight players are a short distance of half a point behind them. In the U-14 Girls tournament, Ning Kaiyu from China drew with the Indian player L. Jyothsna and leads the pack with 8/9. Song Yuxin from China, Meruert from Kazakhstan and Floris Maria Eizaguerri from Spain are one point behind her. Jovana Srdanovic from Serbia made a draw against Honorata Kucharska from Poland and keeps the lead in the U-16 Girls category with 7.5/9. The Russian player Alexandra Maltsevskaya also drew with Govhar Beydullayeva from Azerbaijan to stay in the second place with 7/9. Seven players share the third place with 6.5/9. Polina Shuvalova from Russia made one more draw in the tournament against Sagar Tejaswini from India. Shuvalova retains the lead in the U-18 Girls section, being one point ahead of the nearest rivals Teodora Injac from Serbia, Sagar Tejaswini from India and Desiree Di Benedetto from Italy. 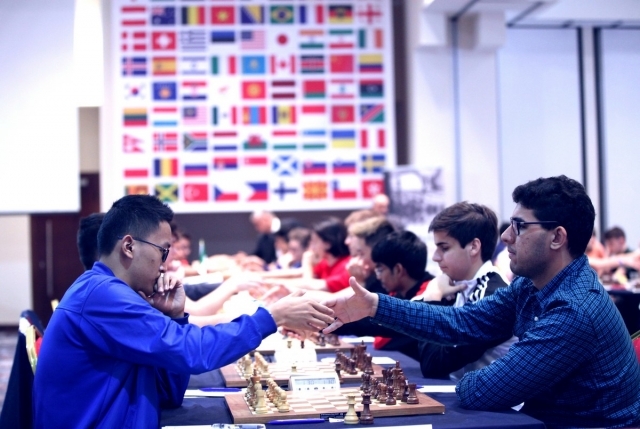 Two rounds remain in the World Youth Chess Championships. The tenth round will be held on October 29. 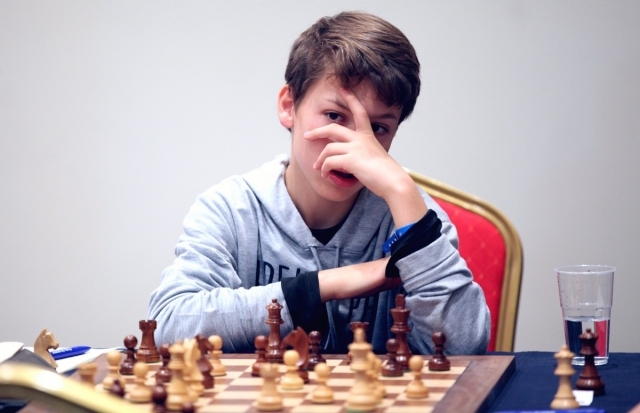 Pedro Antonio Gines Esteo from Spain defeated Dmitry Tsoi from Russia and retained the sole lead with 7.5/8 in the U-14 Open category. Nikolozi Kacharava from Georgia and Huang Renjie from China are one point behind him. Shant Sargsyan from Armenia made a draw with his compatriot Arthur Davtyan and is the only player with 6.5/8 in the U-16 Open category. Six players are half a point behind. Once again, things shifted at the top in the U-18 Open category. In the eighth round, Viktor Gazik from Slovakia defeated Luca Moroni from Italy to grab the lead with 6.5/8. Five players are half a point behind him. In the U-14 Girls tournament, Ning Kaiyu from China defeated Leya Carifullina from Russia and is the sole leader with 7.5/8. Nine players are one and half point behind her. Jovana Srdanovic from Serbia outplayed Michalina Rudzinska from Poland and keeps leading in the U-16 Girls category with 7/8. 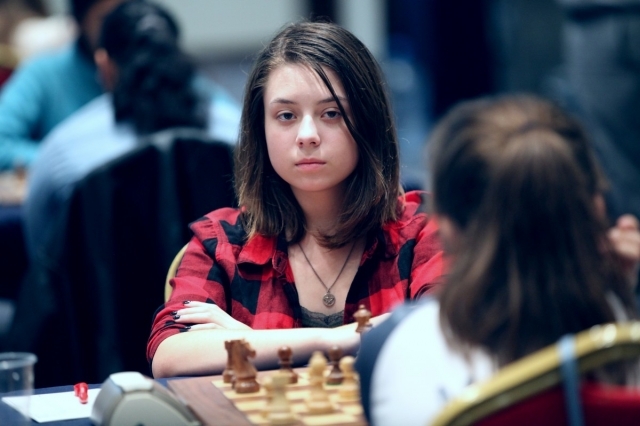 Russian player Alexandra Maltsevskaya is in the second place with 6.5/8. Four players share the third place with 6/8. After seven victories in the previous rounds, Polina Shuvalova from Russia made her first draw in the tournament against Teodora Injac from Serbia. However, it didn’t change the tournament situation in U18 Girls section as Shuvalova still retains a comfortable lead, being one point ahead of the nearest rival Sagar Tejaswini from India. The ninth round of the World Youth Championships will be held on October 28. Jos? Gabriel Cardoso from Columbia lost for the first time in the championship and slipped to the second place in the U-14 Open category. His opponent Pedro Antonio Gines Esteo from Spain took the sole lead with 6.5/7. Eight players share the third place with 5.5/7. Shant Sargsyan from Armenia is leading the race with 6/7 in the U-16 Open category and will play against his compatriot Arthur Davtyan in the eighth round. Six players are only half a point behind the leader. In U-18 Open category, Luca Moroni from Italy outplayed Lukas van Foreest from the Netherlands and leapfrogged his opponent to lead the tournament table with 6/7. Igor Janik from Poland and Viktor Gazik from Slovakia share the second place with 5,5/7. In the U-14 Girls category, Ning Kaiyu from China defeated Sila Caglar from Turkey and stayed in the lead with 6.5 points. Leya Garifullina from Russia is in the second place with 6/6. Jovana Srdanovic from Serbia made a draw with Alexandra Maltsevskaya from Russia and remained the sole leader in the U-16 Girls category. Five players, including Alexandra Maltsevskaya and Elizaveta Solozhenkina (both from Russia), Govhar Beydullayeva from Azerbaijan, Zala Urh from Slovenia, and Michalina Rudzinska from Poland are half a point behind. Polina Shuvalova from Russia keeps posting impressive results. She won the seventh game in a row in the U-18 Girls category. 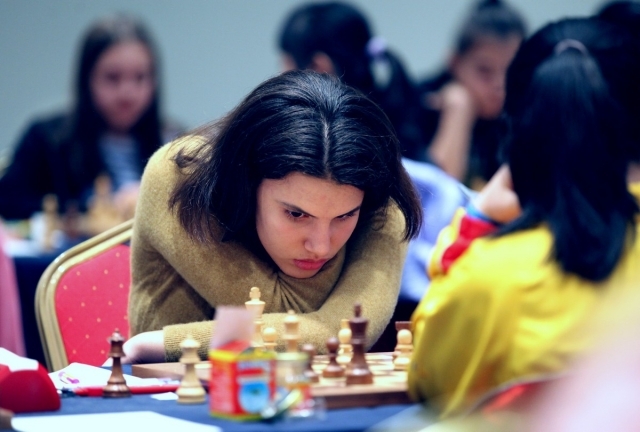 Shuvalova outplayed Anastasia Avramidou from Greece to keep 1.5 point distance from the nearest rivals – Alexandra Obolentseva from Russia, Anna Sargsyan from Armenia, Teodora Injac from Serbia, and Sagar Tejasvini from India. The sixth round of the World Youth Chess Championships was played in Porto Carras, Greece on October 24. In the U-14 Open category, Jos? Gabriel Cardoso from Columbia scored the sixth victory in a row. He keeps the lead with a perfect score 6/6. Pedro Antonio Gines Esteo from Spain is in the second place and will face the leader in Round 7. Three players share the third place with 5/6. In the U-14 Girls category, Ning Kaiyu from China drew with Nurgali Nazerke from Kazakhstan and stayed in the lead with 5,5/6. Four players share the second place. Sargsyan Shant from Armenia drew with Viktor Matviishen from Ukraine in Round 6 to keep his leading position in the U-16 Open category. Four players are just half a point behind him, including the 2600+player Andrey Esipenko from Russia. Jovana Srdanovic from Serbia is on the first line of the table in the U-16 Girls category. Alexandra Maltsevskaya from Russia and Govhar Beydullayeva from Azerbaijan share the second place. In the U-18 Open, Lukas Van Foreest from the Netherlands drew with Alexandr Triapishko from Russia, so two players, Victor Gazik from Slovakia and Luca Moroni from Italy caught up with him. Polina Shuvalova from Russia continues leading with a perfect result in the U-18 Girls category. In the sixth round, she defeated her compatriot Alexandra Obolentseva. Shuvalova is already one and a half points ahead of the closest pursuers. October 25 is a free day. The seventh round will be played on October 26th. The fifth round of the World Youth Championship was held in Porto-Carras, Greece on October 23rd. In the U-14 Open category, Jose Gabriel Cardoso from Columbia has defeated Russian player Stefan Pagosyan. Cardoso stays in the lead with a perfect score 5/5. Four players are in pursuit with 4.5 points. In the U-14 Girls category, Ning Kaiyu from China outplayed her compatriot Song Yuxin to grab the lead position with 5 points. Nurgali Nazerke from Kazakhstan is in the second place. In the U-16 Open event, Shant Sargsyan from Armenia is leading with a perfect score. Fifteen players are one point behind him. 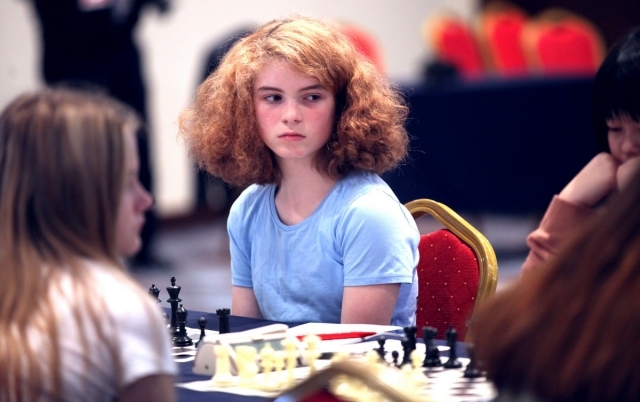 Jovana Srdanovic from Serbia is the leader in the U1-6 Girls category with 5 points. Govhar Beydullayeva from Azerbaijan is in the second place with 4,. points. 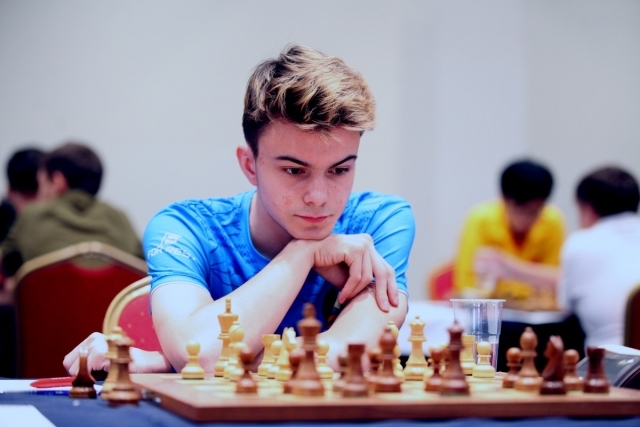 Lucas van Foreest from the Netherlands became the leader in the U-18 Open tournament after defeating Igor Janik from Poland in the fifth round. Nine players are half a point behind. 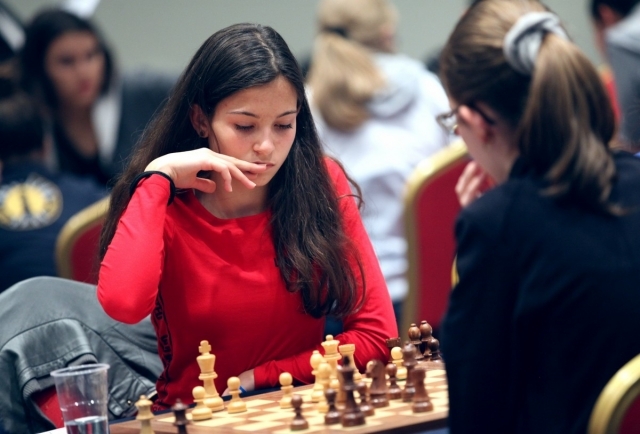 The top-rated player in the U18 Girls tournament, Polina Shuvalova from Russia is the sole leader with a perfect score 5/5. Her compatriot Alexandra Obolentseva is in the second place half a point behind. Four players share the third place with 4 points. Surprisingly, after five rounds, only one person is leading the pack in each of the six tournaments. The fourth round of the World Youth Championships was played in Greece on October 22nd. In the U14 open group, four players, including Stefan Pogosyan from Russia, Gines Esteo Pedro Antonio from Spain, Kazybek Nogerbek from Kazakhstan, and Cardoso Cardoso Jose Gabriel from Colombia have a perfect score. In the girls’ tournament, Song Yuxin and Ning Kaiyu from China are the leaders with four out of four. The compatriots will play against each other in the fifth round. 6 players are half a point behind them. The leaders in the U16 open championship Shant Sargsyan from Armenia and Tor Fredrik Kaasen from Norway will meet in the fifth round. Four players have three and half points. Jovana Srdanovic from Serbia is a sole leader in the U16 girls’ section with a perfect score, but six players are breathing down her neck half a point behind. Igor Janik from Poland is the only leader of the U18 open tournament. 6 players scored 3.5 points. The rating favorite Alexei Sarana from Russia made has 3 points. In the U18 girls’ tournament, Polina Shuvalova (Russia) and Anna Sargsyan (Armenia) are at the top of the table with a perfect score. The round 5 will start on October 23 at 3 pm local time. The second and third rounds of the World Youth Championships were played in Porto Carras on October 21. The players had a tough day with double rounds which started at 10 am and lasted till 10:30 pm with a short break for lunch. In the Open U14 category, ten players have a perfect score. In the Girls U14, six players have two points. In the Open U16 category, five players have three points out of three, and in Girls U16 there are six leaders with the same result. Three players are leading the pack in Open U18. In the Girls’ U-18, five players earned a perfect score. The fourth round will be held on October 22. 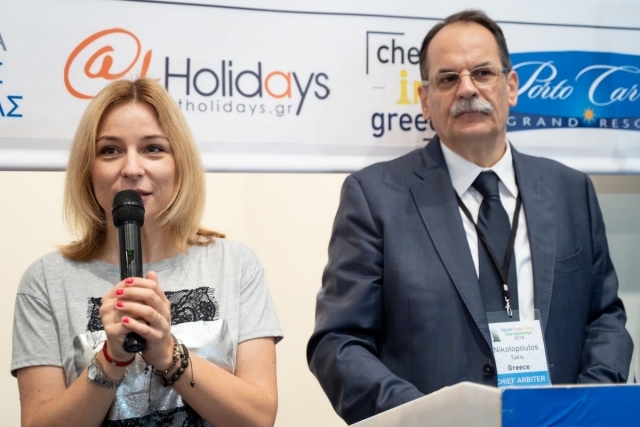 The World Youth Chess Championships 2018 started in Porto Carras, Halkidiki, Greece, on October 03, 2018. The championships will last from 19th of October (arrivals, technical meeting) to 31st of October 2018 (departures). The Championships are held for the older age groups U14, U16 and U18, Girls and Open. A record number of 626 players from 78 federations are taking part in the Championships. The second and the third rounds will be played on 21st of October. FIDE Vice-president Anastasia Sorokina greeted participants before the start of the 1st round. 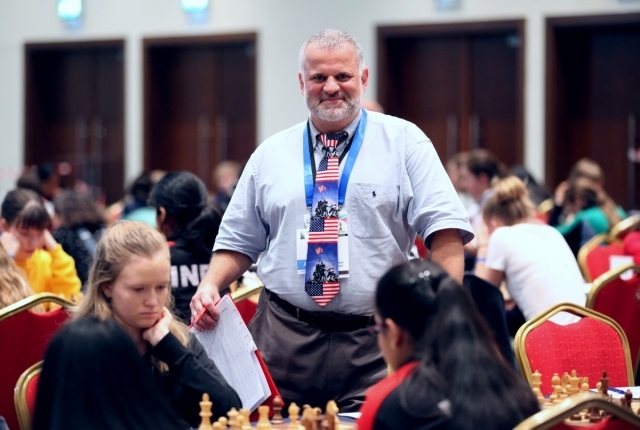 The Chief Arbiter of the World Youth Championships Takis Nikolopoulos drew the attention of the players to some tournament regulations, anti-cheating measures and reminded them about the tournament schedule. TCEC is looking for emotes for its Twitch chat, so a TCEC Emote Design Contest (EDC) is opened. You are invited to send in you own original designs for evaluation by our Emote Jury, consisting of 5 members. The contest opens on 11 November 2018 and after selecting winners, these will gradually be released in the chat. A set of emotes sent in should ideally include a palette of emotions, some suggestions for these are: happiness, sadness, cheering, approval, (dis)agreement, surprise, 10/10 emote, boom emote, emotes for top engines, etcetera. We are looking forward to your designs! Despite starting with a loss, Peter Svidler defeated Sam Shankland in a six-game match held in Hoogeveen, the Netherlands. In the same playing hall, Vladimir Fedoseev and Jorden van Foreest drew all their classical games. After some delay, FIDE has rated the 2018 Abe Yanofsky Memorial Open. See below – far right for rating change. Despite starting with a loss, Peter Svidler defeated Sam Shankland in a six-game match held in Hoogeveen, the Netherlands. In the same playing hall, Vladimir Fedoseev and Jorden van Foreest drew all their classical games. 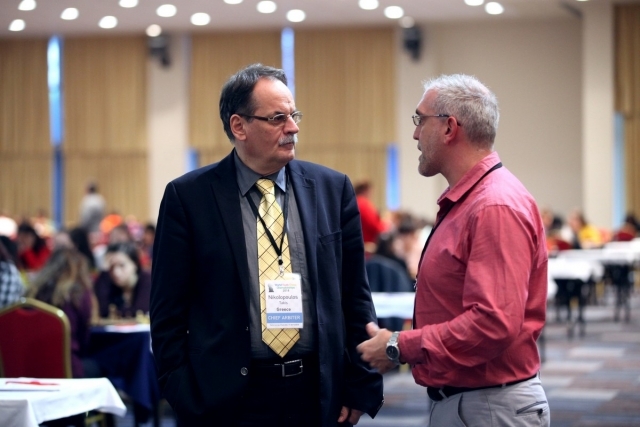 The tenth round of the World Youth Chess Championships was held in Porto Carras, Greece on October 29. 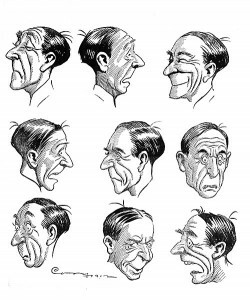 You are currently browsing the Chess blog archives for October, 2018.